I recently started playing with even bigger EPROMs (42 pins). 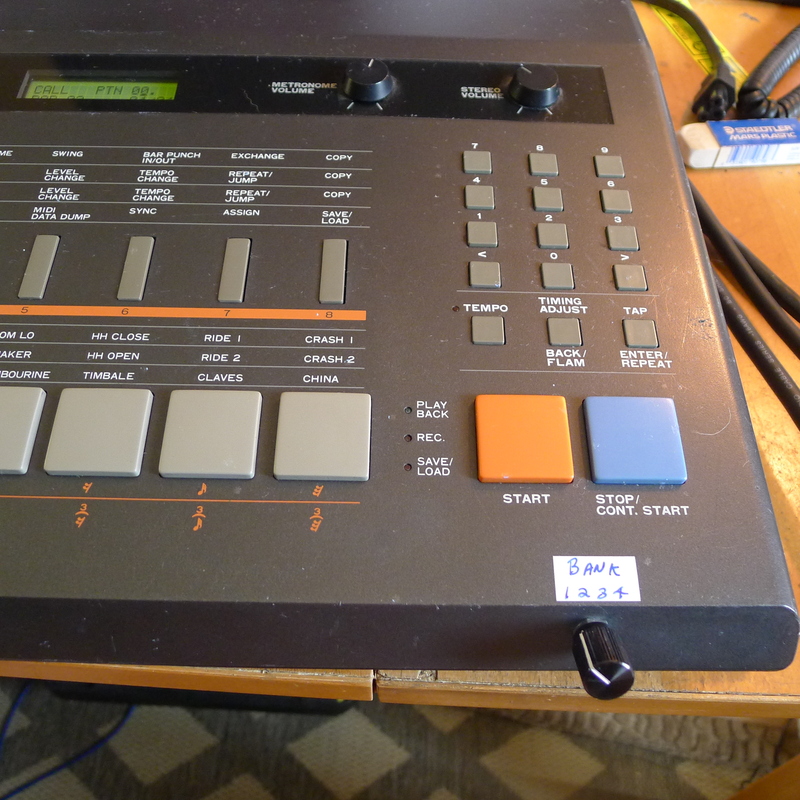 This means I can put all 3 factory sound ROMs in one chip and still have a bank left over for more custom sounds. This board I’m calling the “QuadROM” 4x board. See above. It can hold 4 sets of 24 instruments in the one chip. Less soldering for me. 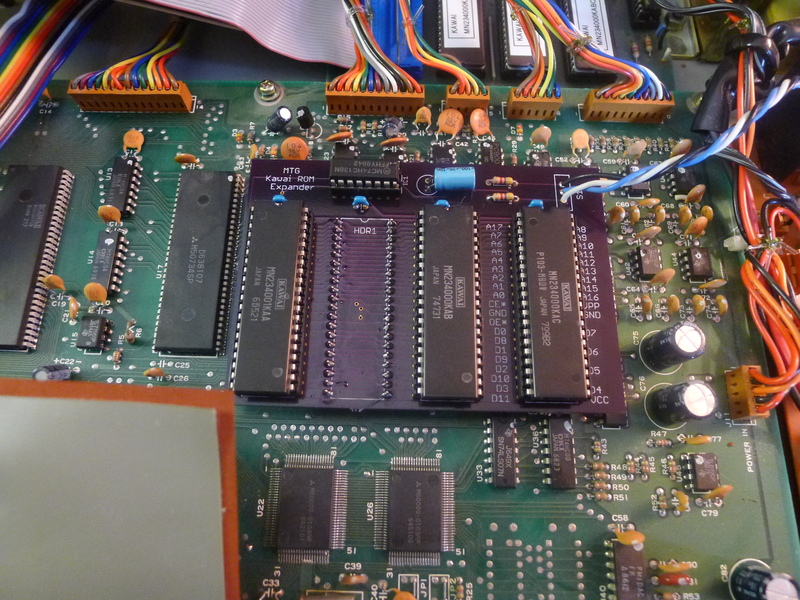 Of course in both cases the user can make their own EPROMs using my R100 Builder software, but for the 4x it means you need a pretty decent programmer since the cheapie programmers may not do the 42 pin EPROM; at least not without an adapter. Also, because there are now 4 banks, it means a simple 3-position toggle switch won’t do. 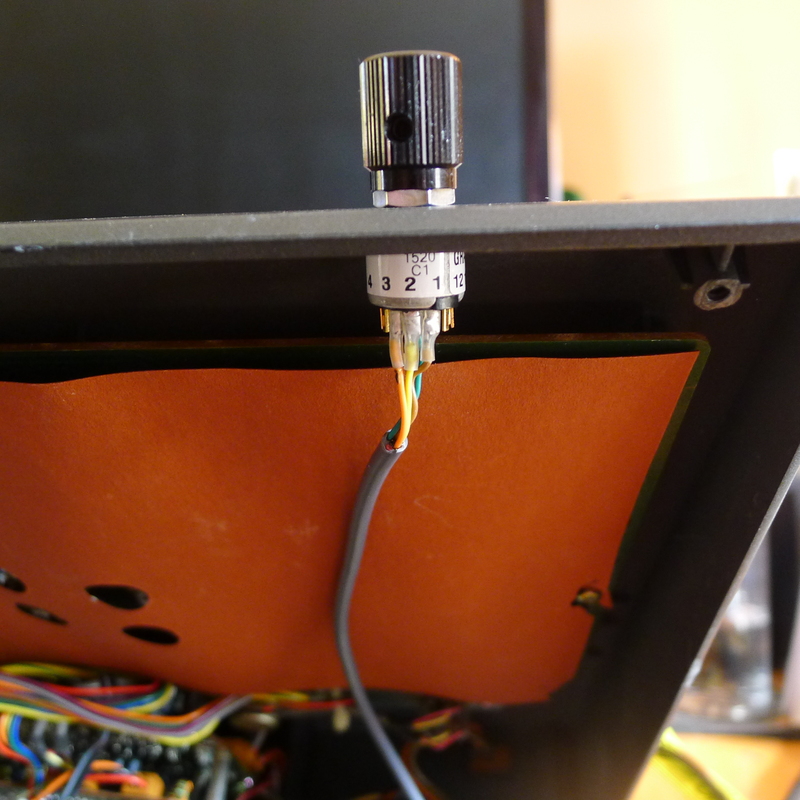 I have to invest in a quality 4-position rotary switch that is still small enough to fit in the R100. Anyway fun stuff on a Saturday. I will work on it more as time allows and see what comes of it. 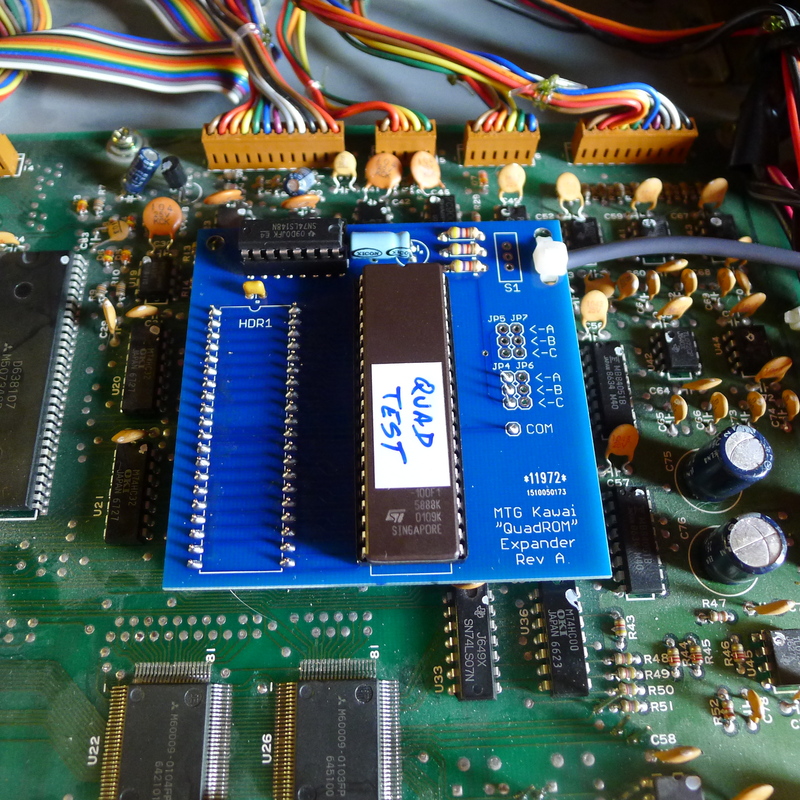 This entry was posted in Kawai R100 and tagged EPROM, kawai, r100, sound rom, wave rom. Bookmark the permalink. Are boards or memory images available? I would like to try this but can’t find links to R50/E dumps online. I sell 3 boards/kits: R100 3x, R100 4x and R50 3x. The only one I have built up at the moment is the R100 4x, but I will get to the others as time permits. I”m actually working on one for the R50 family now as well. There are the 3 sound banks that Kawai offered back then. In order to add more new/different sounds to the R100 or R50 you can use my software along with an EPROM programmer to make new chips. They aren’t particularly expensive. Alternatively, you can buy chips. I don’t make them myself, but there are other people who have made them and sell them. Just search for R100 or R50 sound chips. Hi Grant – sounds really nice! So can you confirm that the kits are both still available (the one with 3 drum kits and the one with 4)?